The front wall of 440 Jackson Avenue received the 49th mural of Writer’s World Peace Mural Tour, a mural series that can be seen across 42 cities in the U.S. and one in Mexico City. Painted for two days in early November, the mural is a salute to KRS-One, a South Bronx rapper whose 1989 song World Peace inspired Writer’s work, said the Miami-based artist. 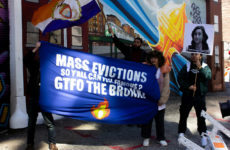 Foxy Management, a family-run property management company based in Mott Haven, granted Writer permission to draw on their property. The company has hosted seven murals since last October. One mural depicting a female DJ looking through Puerto Rican, Cuban and hip-hop music albums occupies the entire side wall of a six-story residential building across the street from the World Peace mural, receiving awe from locals in the birthplace of hip-hop. 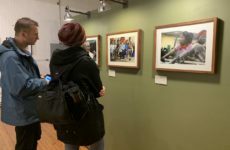 “Our goal is to bring color, beauty, and positivity to the community, giving residents a sense of pride and belonging,” said Jeff Fox, the 39-year-old principle at Foxy Management. He said one of his foremost criteria for granting artists permission to draw on Foxy properties is whether the murals represent the local culture. 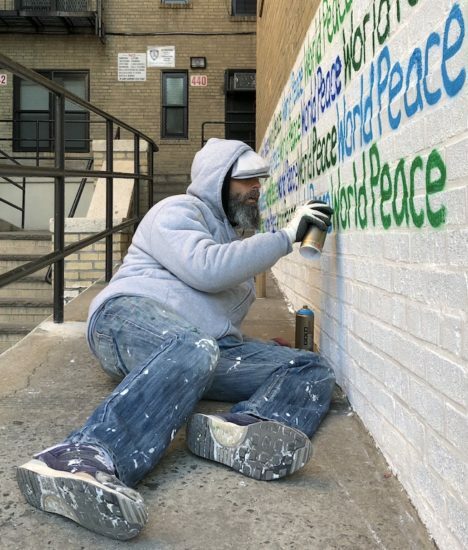 Writer modified the original World Peace mural composition to appeal to Mott Haven residents, adding two separate sections reading “South Bronx” and “Paz Mundial,” which means “world peace” in Spanish, a language spoken by 56 percent of Mott Haven residents. Murals can be a cost-effective way to keep surfaces from being vandalized, as they create visual cues to residents that the place is desirable, according to research conducted by Patrick Verel from Fordham University. While illegal graffiti is common in the neighborhood, respect for murals acts like a street code that deters vandals, Fox observed. In addition, he said, the management company installed street lights for some of the murals, which not only highlighted the art but also enhanced safety at night. Moussa Kalissa, a 43-year-old engineer who has lived in Mott Haven for 10 years, noted that the murals inspire positive thinking for his 4-year-old daughter. 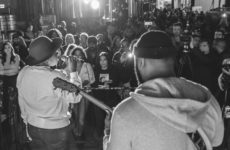 “The murals encourage her not to look at the dark side of the Bronx, but to look at what is bright, what is beautiful, and what good we can do together,” said Kalissa. The Guinean native especially appreciates that the World Peace mural distills the concept of unity to children who grow up in a diverse community such as Mott Haven. When Michelle Martin, a 29-year-old teacher at the P.S. 065, takes her students outdoor for their “nature walk” in the afternoon, the murals extend learning outside the classroom. She would ask the students how they feel about the murals and then take pictures of them in front of the walls. “It encourages their own creativity, ’cause when they get back to the class they’d like to draw some of the things they saw,” said Martin.